John Tartaglia, a Theater major at Burn Brae for many years, was the star of playhouse Disney's Johnny and the Sprites on Saturday and Sunday mornings! He starred as Lumière on Broadway's Beauty and the Beast and was nominated for the Tony award for his starring role in Avenue Q on Broadway. He also starred in Shrek the Musical on Broadway. At sixteen he was the youngest puppeteer ever to work on Sesame Street! 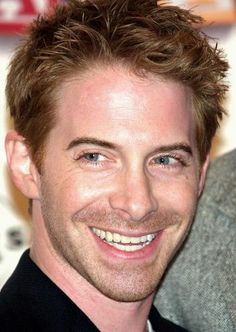 Seth Green attended Burn Brae as a Theater Major. He has acted professionally in film and television since the age of 7. He is the voice of Chris in the Family Guy. He was also on the show Buffy the Vampire Slayer. His film credits include Austin Powers, Radio Days and Can't Buy Me Love. He was awarded Best TV Actor by Entertainment Weekly Magazine and E! Seth continues to entertain us in movies, plays and television. Matthew Mezzacappa started his theater career here at camp. At the advice of the camp's theater director he auditioned for the role of Tiny Tim in A Christmas Carol at Madison Square Garden and landed the part at age 11! He has since performed in many plays and is an accomplished writer and producer. Sarah Chang started her violin carer as a Pre-Major at Burn Brae where she was first taught to play violin and developed a love for it. At age eight she was playing with the New York Philharmonic! Today, Sarah, now in her 20’s, is recognized world over as one of classical music’s most captivating and gifted artists. Sarah has performed with nearly every major symphony orchestra in the world! Lee Lessack was a Theater Major at Burn Brae and then became our Theater apprentice. Today, Lee’s baritone vocals and sophisticated style have made him a shining star of the international cabaret scene. Billboard magazine calls his singing, “Cabaret romanticism of a high order.” Lee has toured extensively in the U.S. and Europe to sold-out performances and has released four albums. His latest album features duets with such notables as Michael Feinstein, Maureen McGovern and Ann Hampton Callaway. Landis Smith taught magic and puppetry here at Burn Brae. Landis was the founder and featured performer of a world-famous puppetry and magic company called Enchantment Theater Company and has created, produced and performed in productions in the US and Far East. Landis has appeared with the Boston Pops on their annual holiday PBS special, which has aired nationally. 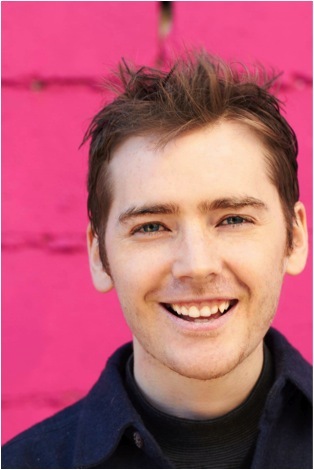 Josh Silverman was a Theater Major at Burn Brae and is currently an actor and writer in New York City. He has appeared on Saturday Night Live, and is known for his roles in The Marvelous Mrs. Maisel, Difficult People, and Actor Seeks Role. Gabe Nathan was a Theater Major and later, a Theater apprentice at Burn Brae. He also minored in Creative Writing. Gabe wrote a book that was published and later sold in Borders and Barnes and Noble where he was featured at a book signing event in Philadelphia. Kristen Welker attended Burn Brae as a theater major and is now a national news correspondent. She was named NBC White House correspondent in 2011 and travels with the President and his wife when they have overseas meetings and dinners with the leaders of foreign countries. She was also a commentator at the Winter Olympics in Russia. Kristen is a graduate of Harvard University. Robyn Savitsky was a Violin Major at Burn Brae. She was awarded a full scholarship for violin performance at one of the leading music colleges in the U.S. Robyn has since graduated and is now performing and touring with a major orchestra. R.D. Robb was a Theater Major at Burn Brae. He is now an actor and producer, and known for A Christmas Story, Matilda, Eight Days A Week, One Point O, and The Brady Bunch Movie. Jeremy Dorfman was a Theater Major at Burn Brae. He is now a producer, and is known for his work on The Making of a Tomb Raider, To Tell The Truth, Lip Sync Battle, and The Goldbergs. Lee Slobotkin was a Theater Major at Burn Brae, and is now best known for his work in the television series City Boyz. He has also appeared in Wicked, 25th Annual Spelling Bee, and Life Could Be A Dream.